Another photo from our October staycation. We got too busy to blog daily as we had guests in from France. 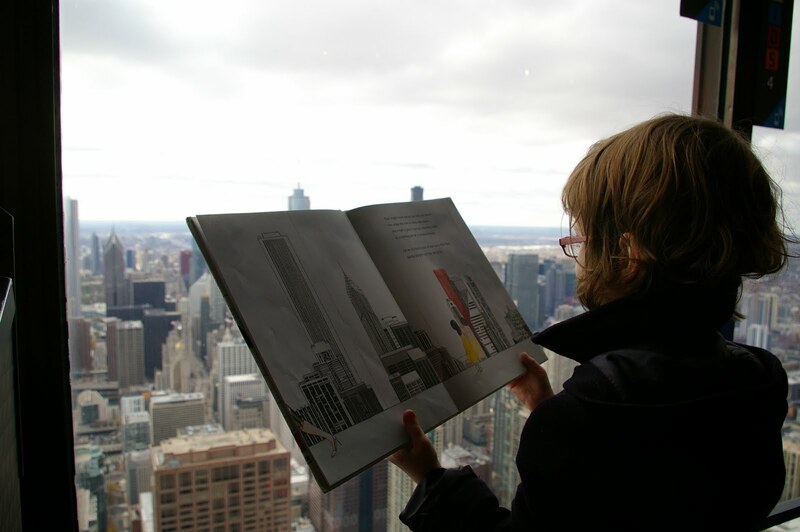 We took them to the John Hancock Tower for the best views of Chicago. More on that soon! 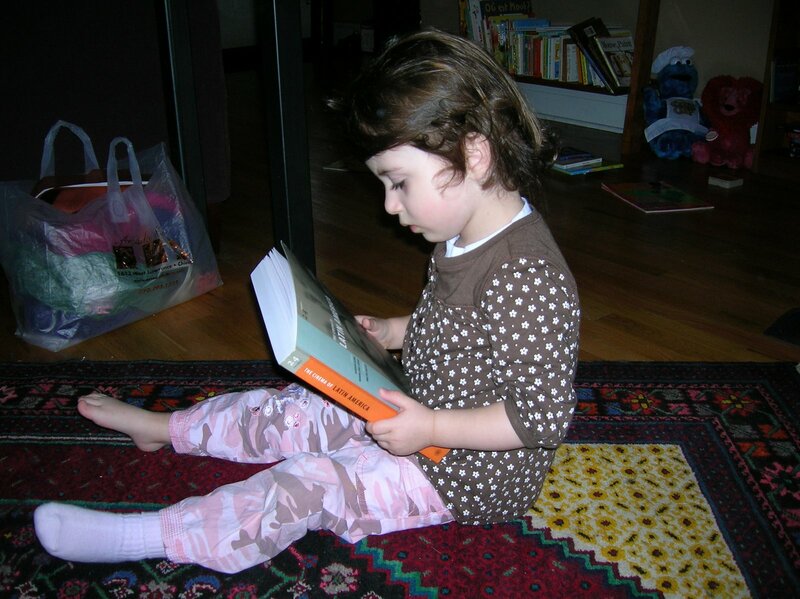 We are grateful for books that inspire excursions, imagination, and everlasting fascination. Thanks, Andrea! And, thanks David Roberts for drawing one of my favorite Chicago skyline images. Iggy Peck, Architect rules! Categories: Andrea Beaty, books, Iggy Peck | Permalink. Charlotte’s medical updates are fewer and further (farther?) between, so I’ve decided to add a regular feature to the blog: Charlotte Reads. I’ve thought about making a separate blog, but Philippe suggested I keep it here. And in most cases she will not be reading The Cinema of Latin America, although it is one of her current faves. Categories: books, Charlotte reads, children's literature, reading | Permalink.